Professor Profile: Bryan Norton, S.J. Managing Editor Taylor Fulkerson sat down with Jesuit Scholastic. Bryan Norton, S.J. to talk about coming to Xavier, teaching and how he began studying classics. Xavier Newswire: How did you get into classics? Bryan Norton, S.J. : The Jesuits got me into classics. I’m from Cleveland, Ohio. I graduated from the Jesuit high school there, St. Ignatius, in 2003 and received a really solid foundation in the classics there. I took four years of Latin and three years of Greek. And there were so many of us who did that. There is a real thriving classical program there: 1,500-plus students there and over half of them take Latin by their own choice. More would like to, but they can’t accommodate. When I got back to Williams my senior year in college, I resumed my study of Latin and Greek but I didn’t major in it. Fast forward to the novitiate, the first stage of Jesuit formation: I graduated from Williams in ‘07, entered the Society (of Jesus) in ‘08. 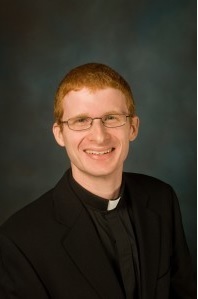 Jesuit Scholastic Bryan Norton, S.J. speaks about his decision to come teach at Xavier. XN: How did you end up at Xavier? BN: I’m a Jesuit scholastic. I have taken my vows. I am not yet a priest, but studying to be a priest. It takes about 11 or 12 years, this formation process. I’m in the beginning of year seven. Now I’m in a phase called regency, where basically you’re working full-time as a Jesuit. The idea is that this is what the rest of your life is going to look like after your studies are over, after ordination, God-willing. Regency is kind of the centerpiece, both chronologically, it falls in the middle of formation, and also in terms of importance, this is the rest of your Jesuit life. At Xavier, there is a long tradition of regents coming here (Matt Dunch preceded me), including Fr. Graham, who came here as a regent. A big draw for me was the H.A.B. (Honors Bachelor of Arts) program and the strength of the classical languages here. It’s kind of a holdover from an earlier age in Catholic and Jesuit education, when to be educated was to be working in these languages. I’m coming to Xavier from four years of study in St. Louis. The first two were at SLU (Saint Louis University) doing philosophy and theology, Jesuit stuff, and the last two were full-time at Washington University (in St. Louis), just down the road, where I was doing a Master’s in Classical Languages in Latin and Greek. XN: Do you have a favorite book or favorite author? BN: It’s hard to pin down, but “Les Miserables” by Victor Hugo, which I read a couple summers ago. “The Brothers Karamazov” (by Fyodor Dostoyevsky) would be up there too.